Broad changes in the dynamics of the venture capital are leaving early-stage tech entrepreneurs high and dry when it comes to mentorship and true assistance. With the rise of mega-funds and a massive influx of capital into the tech sector over the past decade, the vast majority of vanguard firms in the VC industry are shifting their focus downstream in pursuit of later-stage, larger dollar investments. 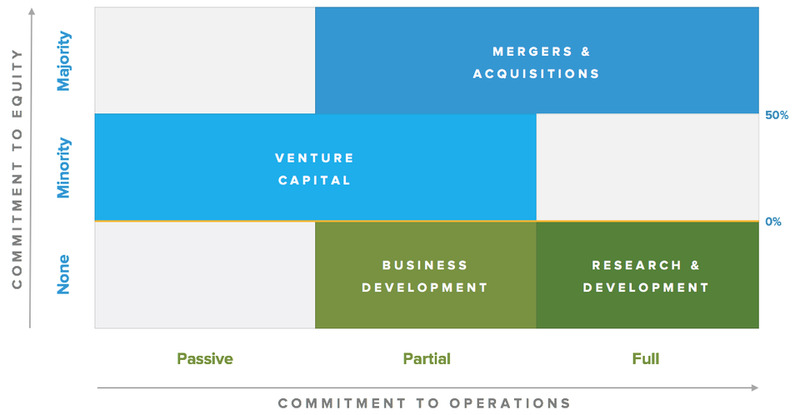 According to the latest research from Crunchbase, late-stage companies are seeing the most VC action today. In Q2 2018, 64 percent of all VC dollars went to late-stage deals, setting new post-Dot Com records for the size and number of venture deals. Meanwhile, the percentage of total VC dollars invested in early-stage deals fell to the lowest levels the industry has seen in five years. It’s a far cry from the original mission of venture capital – and an ironic one at that. While there’s a huge supply of capital to deploy, it is largely designated for companies that prove their business model and demonstrate traction. 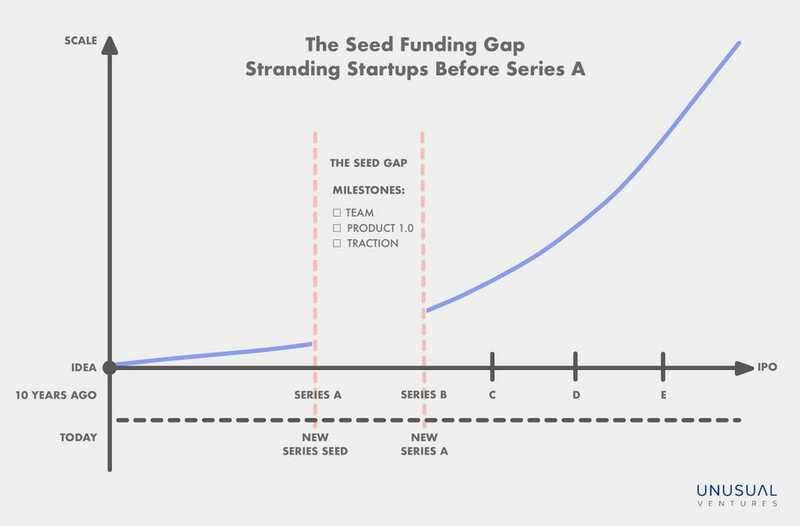 As depicted in the graphic below, the very nature of Series A financing is changing. Venture capitalists used to lead Series A funding (so named to signify a startup’s first institutional financing round) before a company demonstrates traction. The purpose of the financing was to give the startup enough runway to overcome critical early-stage obstacles, such as hiring an initial team, delivering a working version of the product, and landing paying customers. But in today’s environment, mega-fund investors now expect to see these milestones already achieved before they lead a Series A.
Clearbanc offers a fundraising alternative. For fast-growing businesses reliably earning sales from their marketing spend, Clearbanc offers funding from $5,000 to $10 million in exchange for a steady revenue share of their earnings until it’s paid back plus a 6 percent fee. Clearbanc picks what merchants qualify by developing tech that scans their Stripe, Facebook ads, and other accounts to assess financial health and momentum. It’s already doled out $100 million this year. After largely flying under the radar since being found in 2015, now Clearbanc has some big funding news of its own. It’s now raised $70 million from a seed and new Series A round from Emergence Capital, Social Capital, CoVenture, Founders Fund, 8VC, and more with Emergence’s Santi Subotovsky joining the board. Clearbanc emerged from an angel investing alliance between two serial entrepreneurs. D’Souza had built Andreessen Horowitz-funded social recruiting site Top Prospect, USV-backed education tech company Top Hat, and Mastercard portfolio biometric authentication wearable startup Nymi. He’d helped raise over $300 million in venture after a stint at McKinsey when he begun co-investing with Michele Romanow, a VC from Canada’s version of the TV show Shark Tank called Dragons’ Den. She’d bootstrapped shopping hub Buytopia that acquired 10 other ecommerce companies, and discount-finder SnapSaves that she sold to Groupon in 2014. There are seven things you should consider before investing in a proptech (or any tech!) early stage startup. Is the startup offering a solution to a real problem, or is it a problem looking for a solution? Do they have the market research to back their claims? Does the product provide an exponentially better solution to the alternatives out there? If the answer is no – and the golden rule is that the improvement should be 10x - you can get away with 2x or 3x but the product will be a very hard sell and the company will have to spend inefficient sums of money to convince customers to switch. Of course, there are startups that will be creating a completely NEW market, but even for these kinds of products, you will have to consider market opportunity from the get-go. Finally – and this is something that most startups will NOT have - does the product have a potential for virality? Corporate innovation remains one of the hottest topics in Fortune 500 board rooms. According to a PwC survey, 97% of CEOs say that innovation is a top priority, but 94% are dissatisfied with their current innovation programs (source: McKinsey). For a large number of executives, the topic can be opaque and intimidating. Many wonder what innovation activities to prioritize, and who should be responsible. As in any complex situation, breaking the problem into parts can help. In the case of corporate innovation, consider four alternative building blocks: a. build, b. partner, c. invest, or d. buy — corresponding to four corporate functions: a. research & development, b. business development, c. corporate venture capital, and d. mergers & acquisitions. There are also derivative innovation options, including corporate incubators, accelerators, licensing, and joint venture structures. These options encompass internal and external innovation.